Since 1939, OEMetrix has designed, developed and manufactured quality hardware and components for a broad range of industries and applications. 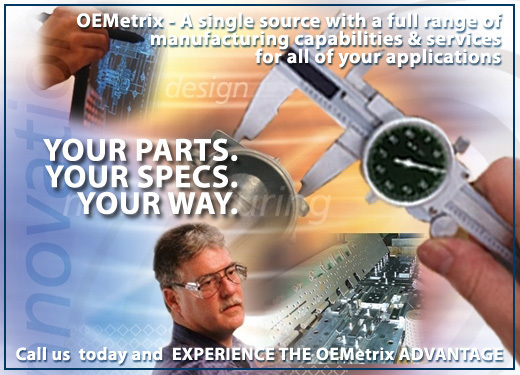 OEMetrix is a fully integrated OEM supplier that combines the latest advances in design, manufacturing, and inventory control with a 70-year history of customer satisfaction. At OEMetrix, building an enduring partnership is the cornerstone of our total value approach to customer care.